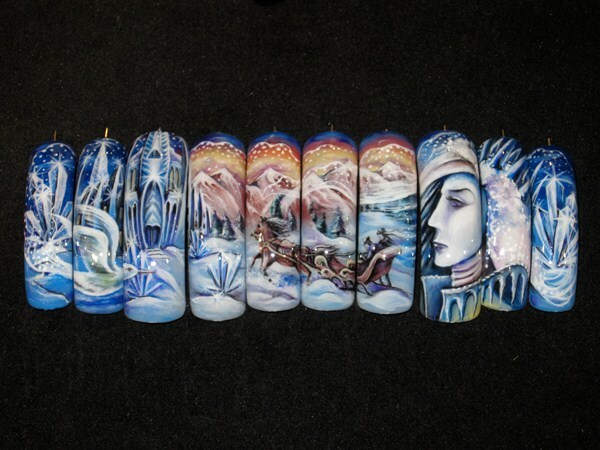 German nail tech Niko Ulrich was a guest artist in the Nail International by Marlise K booth. The owner of Fine Nails was showcasing his handpainted gel art. And yes, this mural was painted using gels! It's amazing what they're doing with gel in Europe.